We know full well that there is a huge selection of mattresses for sale on the internet & the High Street. 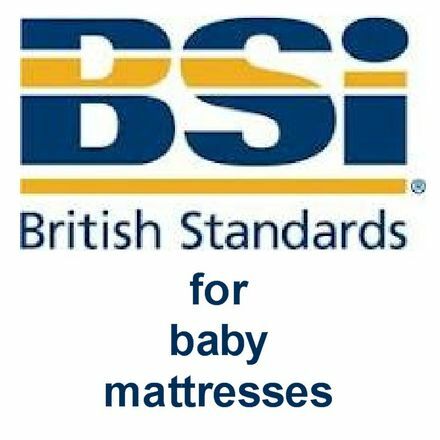 One thing you must pay special attention to is the mattress conforming to the relevant British Standards. 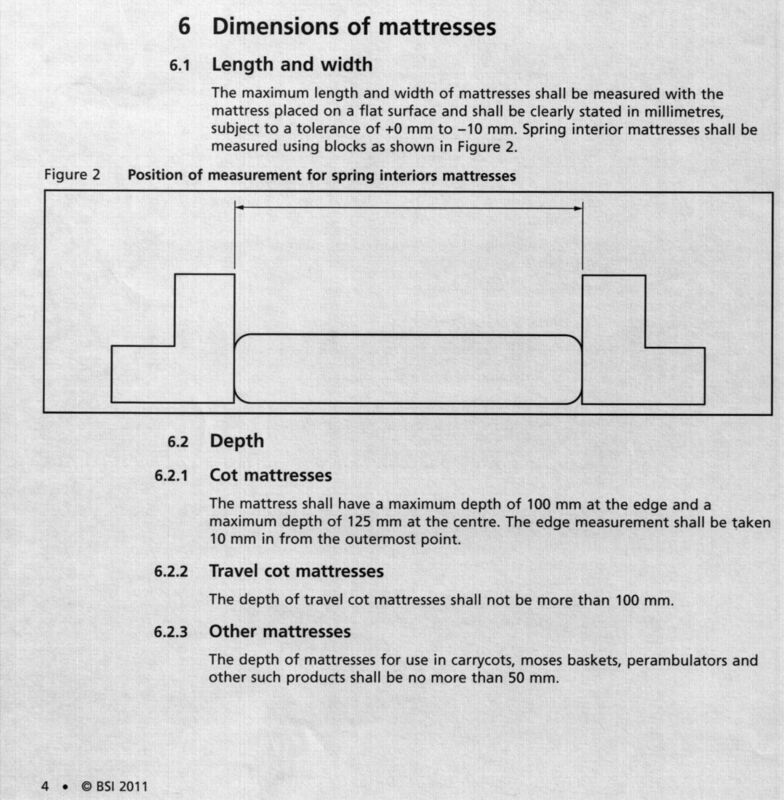 Anyhow, I thought I should point out that British Standards quite clearly states that a cot mattress or a travel cot mattress must not exceed 10 cm. in depth, a pram mattress 5 cm. I have illustrated this with an extract from the Standard which can be seen below. Although it may look like our cot mattresses are inferior because they are only 10 cm. deep, there is a very good reason for this. We adhere to British Standards. We even found a 14 cm. depth mattress for sale in the most famous mother and baby chain in the country! Their customer services insisted that the mattress was quite legal as it is a "continental size! That is total nonsense! Many mattress manufacturers use regular off the shelf spring units that are made for single beds rather than for cots. For this reason they are unable to make a finished spring mattress that does not exceed 10 cm. in depth. Our springs are mini versions which are made in our own factory and are specifically designed for cot mattresses. There is a very good reason about clause 6 of the British Standard and it concerns baby's safety. If some other manufacturers are still labelling their mattresses stating that they conform to the relevant Standards, yet quite clearly they don't, I wonder what other safety standards are not being adhered to. Please note, the 10 cm. rule does not apply to mattresses for children's beds. The internet is a fantastic place to shop but please take care when buying goods for babies & children and check that they conform to British Standards.